I am pleased to announce that Rebecca Caravati will serve as the Interim Executive Director of the Office of Sponsored Programs beginning January 7, 2019. Rebecca needs no introduction for many of you since she was a part of the Georgia Tech Research Institute for 23 years, most recently as Deputy Director of GTRI for Finance and Research Administration. Currently Rebecca is the Chief Operating Officer and Chief Financial Officer for the University of Georgia Foundation. Rebecca brings her experience with academic cost principles, FAR 31.2, F&A rate proposals and negotiations, sponsored research, and (now) gifts and donations to OSP. 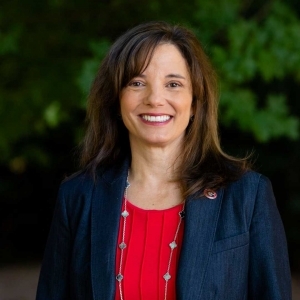 Rebecca will be following Trudy Riley who is undertaking new challenges as Associate Vice President for Research and Innovation, Sponsored Programs at the Virginia Polytechnic Institute and State University (Virginia Tech). I want to offer Trudy my thanks for her work and many successes at Georgia Tech. I look forward to working with her in her new role at Virginia Tech which faces many of the same challenges and opportunities that we confront at Georgia Tech. Please join me in welcoming Rebecca to OSP!